Are you ready to explore holistic approaches to bringing your health and wellbeing into balance? Do you want to deepen your self awareness of mind, body and spirit in an way that is integrated with modern medical methods? Are you open to a creative and personalised approach to healing with nature? Would you like guidance and support from an experienced and qualified natural healthcare practitioner on your healing journey? Would you like to feel heard, cared for and deeply nourished? Is it time to move beyond merely surviving towards a life that is thriving? If the answer to these questions are YES, then you are in the right place. I'm Fiona Morris, The Natural Healing Guide. 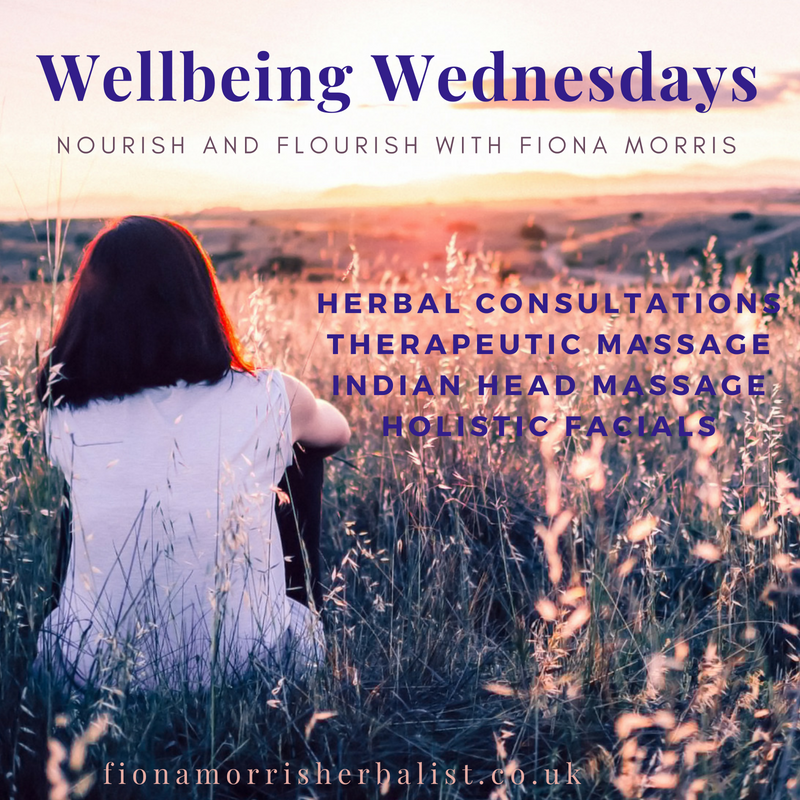 I guide creative souls on healing journeys through my work as a Medical Herbalist, Massage Therapist and Founder of Nourish & Flourish Holistic Healthcare. If you have any queries about how herbal medicine and holistic healthcare may benefit you or your community, please do not hesitate to get in touch. Help yourself to a cup of tea and feel free to wander these pages to find out more about my herbal happenings. Keep well and feel looked after this spring! I invite you to invest in some extra special self care with me on my Wellbeing Wednesdays & Thursdays at Neal's Yard Remedies Edinburgh. Ease away aches and pains, refresh and revitalise, improve your circulation, boost your immune system, or simply unwind in a safe sanctuary space with a selection of therapies tailored to suit you. Check out my 5 Herbs to Help You Sleep on NYR Edinburgh's latest newsletter. may be requested as gifts or to pre-pay for your treatments. N.B. Vouchers valid for 6 months from date of purchase. Please send me name of participant(s) for voucher & email address when purchasing and I will send to them directly by email the next day, or for you to forward on if preferred. - Any prescribed herbal remedies following herbal consultations are charged separately & may be collected or posted 24hr following appointment. Contact me for a quote if you wish to include cost of herbs with gift package. Enjoy free holistic, natural and herbal health articles and event updates by joining my Nourish & Flourish Newsletter! or keep in the loop about my upcoming events and herbal wellness tips by signing up for the Nourish & Flourish Newsletter. Enjoy free natural & herbal healthcare articles, events & special offer updates by signing up for my Nourish & Flourish love letters!